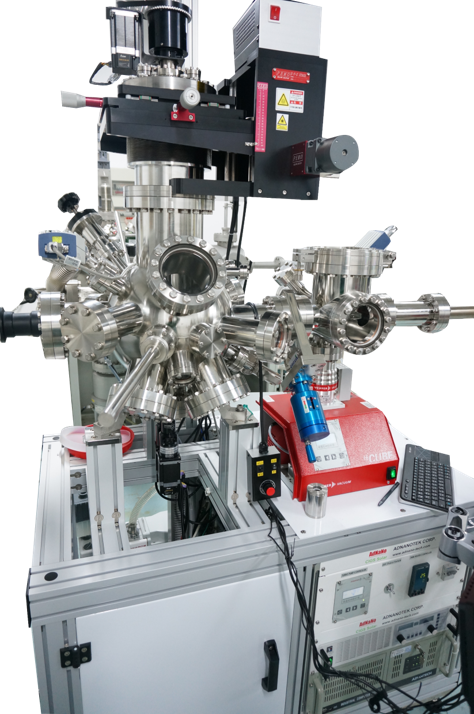 Laser viewport with "smart defender"
AdNaNoTek's Laser heating system is developed as a perfect solution for heating your sample in oxygen- and nitrogen-rich atmosphere and is UHV compatible. 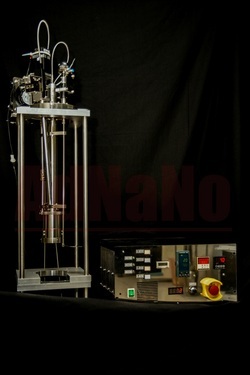 AdNaNoTek’s Laser Heater can heat the substrate with well focus beam, such that, only the targeted area will be heated. The mechanism with a small distance from the plate stay at a relatively low temperature, reducing the outgassing from nearby surfaces. 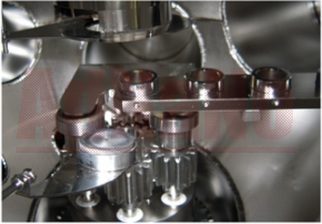 In addition, the system's support tube remains cool even after 10 hours of operation. 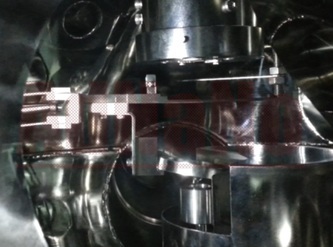 In a traditional PLD system, every time the target material ran out, the system must be vented to air for target replacement, however by doing so, the process parameters and the cleanliness of the system environment will be affected. AdNaNoTek’s PLD system provides a way to replace the target in UHV condition, so we can maintain the system's cleanliness and process parameters. FBBEAR software is a multi-functional software to control the whole PLD system, i.e. Manipulator rotation speed, heating program, target revolution, etc.